What is Trauma Focused CBT? Trauma-focused cognitive behavioral therapy (TF-CBT) is an evidence-based treatment for post-traumatic stress disorder (PTSD). 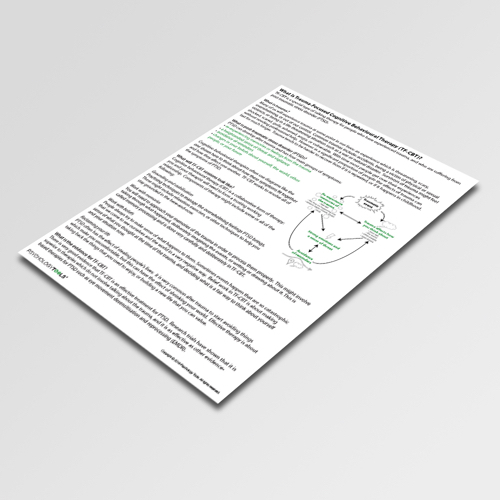 This information handout describes the key principles of TF-CBT and common techniques used in a TF-CBT approach. 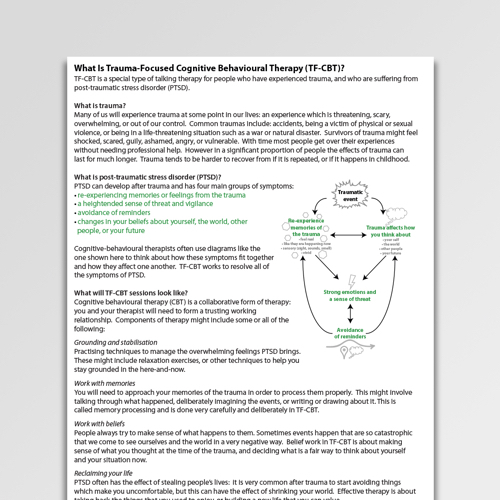 What Is TF-CBT? 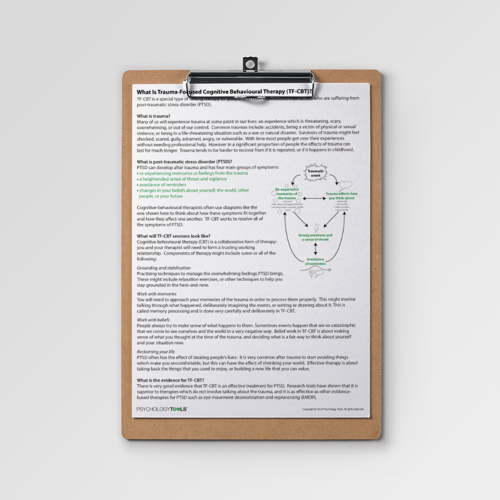 is an information sheet describing the key principles of trauma-focused cognitive behavioral therapy (TF-CBT). It outlines the differences between trauma and post-traumatic stress disorder (PTSD), and describes some of the key components of cognitive-behavioral therapy (CBT) for PTSD. 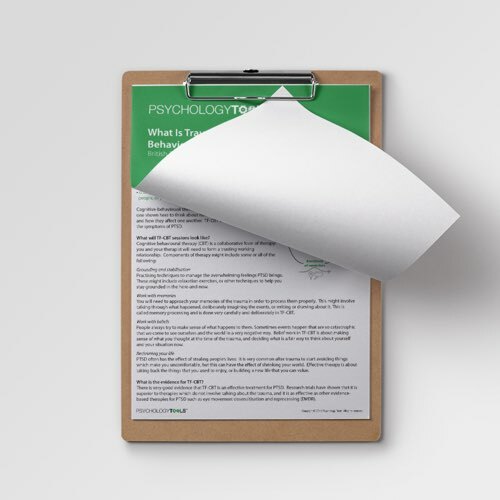 It is a helpful handout to give to clients who may want information before choosing between evidence-based therapies such as trauma-focused CBT and EMDR. See also the What is EMDR? information sheet. Grey, N., Young, K., & Holmes, E. (2002). Cognitive restructuring within reliving: a treatment for peritraumatic emotional “hotspots” in posttraumatic stress disorder. Behavioural and Cognitive Psychotherapy, 30, 37-56.